ANVA, the National Association for Commerce on Public Areas, is a professional association that gathers workers operating on commercial public areas. ANVA is counted among the founding members of Confesercenti and it promotes the idea of an Italian self-managed market, designed according to the market requirements, defending the expertise and the rights of professional workers. In 2017 the EU directive “Bolkestein” for commerce on public areas will become law. The understandable concerns raised by economic operators have been expressed by professional associations since the transposition of the directive in 2010. Do you think that there could also be positive aspects for the innovation of a sector that struggles to rethink itself? In Rome commercial activities on public areas are divided into 130 neighbourhood markets, 95 weekly markets and 1310 rolling stands. These activities are defined by two different types of licences, those of type A provide with the concession of a public area whereas those of type B are defined as itinerant activities. In 2006 the EU has issued a directive known as “Bolkestein”. It has been transposed by the Italian government through the legislative decree 59 of 2010. The decree has established an adaptation time of 7 years, according to which starting from next year all concessions of public areas will expire. Decree 59 has undoubtedly encouraged the development of new activities such as those of street food, which represent an evolution of itinerant commerce. Indeed, it introduces such innovative activities on the social marketing, as well as a more complex delivery system of products, recreational activities and qualified personnel. Somehow, the reality of street food is now contrasting the settled distributional reality that is owned by the Bangladesh community. The debasement of the distribution network requires an innovative planning strategy. However the public administration hasn’t responded appropriately yet. We hear a lot of talking about relaunching markets, but the measures taken are always lacking some crucial elements. For instance, the Commissioner for trade during the administration of Major Marino, Ms Marta Leonori, has presented an ordinance according to which all markets may opt for longer opening hours, up to 24h. However, the administration has not provided the editing of resolution 35 that forbids the delivery of a more vast list of products. So, as of today, even Testaccio market, which is the only one to have undergone an evolution, still operates within the frame of artisanship due to administrative, urban and sanitary constraints. Going back to the Bolkestein resolution, it only provides “BAR” activities with the possibility of delivering a wider choice of products. If Bolkestein was to be interpreted by the administration in a more appropriate way, using it as an instrument to create new activities, there wouldn’t be such a controversy. However, today the interpretation is that of revoking the old not granting any kind of continuation. Hence, I believe that there will be a lot of problems of social value. Although we are talking about the permission to operate on the public soil, I guarantee you that today there is not one person, apart from street vendors, that would be able to valorize this sector. The life of market vendors is a life of sacrifice, made of Sunday mornings in which one has to wake up at 5.30am to set the stall in Porta Portese, it being June or Christmas. It is not as simple as it seems to tell these people that tomorrow they won’t have anything left. The administration has massive responsibilities in this phase of the process, granting the continuation of these activities. As a matter of fact, when implementing resolutions such as the one on the reduction of stalls in Piazza Navona, it is crucial to provide vendors with alternatives, otherwise they would find themselves without a job. We can’t be in favour of the Bolkestein resolution simply because we can’t be in favour of a dictat coming from the EU. What we can do, and we have already done as ANVA, is to find a way to grant the continuation of the activities and to provide with the introduction of fulfillments and adjustments to bring renovation. Going back to the issue of opening hours, a resolution by the municipality of Rome establishes that markets can also be open during the afternoon. What are the limits and potentialities of this opportunity? As of today what is most needed in Rome is a selection. Indeed, 130 neighbourhood markets are too many and the administration should start thinking of merging strategies, distinguishing between touristic and distributive markets. A distributive kind of market (including butcher and fish stalls) could operate along a day-time schedule, from 11am to 3pm or from 11am to 6pm. On the other hand, markets such as the one of Piazza San Cosimato in Trastevere, which have a particular appeal and orientation, could be transformed and rethought in terms of the products they deliver or as social centres in which different activities could be promoted. However, here again, we are conditioned by resolution 35 of 2006. It is hard to think about a renovation of markets without a responsive administration. Would you say that the decay of neighbourhood markets is only caused by the inefficiency of the public administration or are there other dynamics at play? There sure hasn’t been a generational turnover. Most of the workers have gone through glorious times between the ‘90s and the beginning of the ‘00s, before the introduction of large distribution commercial activities. Today we witness a substantial generational gap that is hard to overcome. The daily routine of market operators usually starts at 4am at the general markets, they then work for half a day and close the stalls. Such working habits are hard to modify, if we were to tell market operators to provide with new products such as fresh fruit salads, smoothies and milkshakes, and to keep the stall open from 11am to 6pm, they would probably prefer to preserve their habits until they retire and finally sell or return the activity. Changing this situation is clearly not an easy task but lately, with the support of markets’ presidents, some work has finally been done. As a matter of fact, due to a lack of public funds, associations for the management of markets’ services have been created. Hence, when routine maintenance is directly run by the market association with receptive presidents, as in Testaccio, the overall result is that of a much more dynamic commercial activity. On the other hand, when run by old guard managers, as in the case of the market in Via Catania, markets face real problems. In your opinion, which could be the incentives for operators to activate such generational turnover? The Roman territorial structure is not replicable. The city of Madrid has several market realities but certainly not comparable to the 130 markets in Rome. The public administration invests a lot of money but beyond such investments we feel the need for measures aimed at adjusting the concerned areas. Going back to the example of the market in Via Catania, according to resolution 344, which allows to substitute production stalls with distribution projects, that precise area could be redesigned. For instance it could feature a WI-FI zone for clients, or social services such as sustainable logistics, providing weekly free delivery services for handicapped or over 65 years old customers. In such a way they would provide employment opportunities and social services, offering a different image of the market. Change is made of small actions that, however, need the support of the administration to be implemented. Do you think that the markets’ operators could represent an obstacle to innovation? I admit that at times it is hard for operators to reach consensus. For instance I have personally supported the project for an e-commerce program, although the potentiality was high, the workers have not been able to reach an agreement and the project automatically failed, despite the large demand. At this point I truly believe that markets’ operators need to be trained for holding a commercial activity. Moreover, markets are peculiar in that only the spirit and perseverance of some charismatic operators can result in a wave of enthusiasm which eventually inspires the whole market. Thus, the objective is to specifically work with those 4 to 5 active workers populating every market in order to then spread the enthusiasm to the other stands. Frankly, the main problem is to be found in the call for bids to assign the market stands and in the dichotomy that exists between the municipality and the department. Indeed, the management of some markets is in the hands of the Municipality while other markets are managed by the Department, or even both the Department and the Municipality at the same time. Therefore, if a market operator acquires a stand in Viale della Primavera market, they need to obtain the new title of ownership from the Municipality but then turn to the Department for the concession and go back to the Municipality for the definitive title. This procedure is definitely not acceptable in 2016. The legislative decree number 59 for commercial activities on public land envisages the increasing computerization of these procedures. Public offices however, have so far failed to accomplish this goal. Except for the markets situated in the historic centre like the one of Campo de’ Fiori, tourism does not seem to be the main asset of Roman markets. And yet Rome welcomes 13 million of tourists every year, who stay in different parts of the city and could be potential customers for many neighborhood markets, adding value to local productions. How can markets intercept such tourists fluxes? A few years ago we participated in a project called “Excellence in Rome” with the Chamber of Commerce. Its goal was to link the neighborhood markets that are closer to the archeological sites. For instance, if a tourist is visiting the area around Piramide, why not go and visit the Testaccio market? Unfortunately, the project has not found the necessary widespread support. After all, we cannot expect a success without an appropriate communication campaign, capable of involving hotel lobbies, tourist guides, bus companies, etc. Thinking of markets as tourist attractions, we witnessed a complete disinformation regarding the potential of tourism for this business. 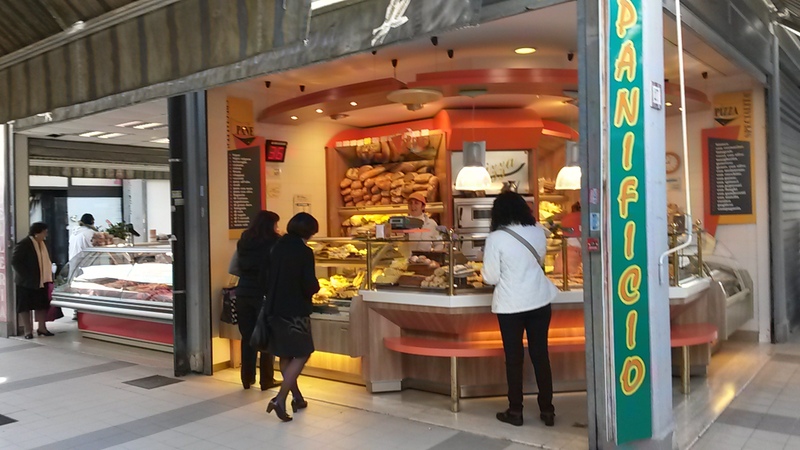 Markets like Porta Portese or Via Sagno should be promoted with a specific connotation. We believe that the administration should raise the quota of craftsmanship in the market, facilitating the appointment of stalls with a faster and easier system of announcements. Markets would assume a much different connotation if we could also add the possibility to introduce stands which are allowed to cook and sell products. Change needs heavy investments to occur, material and immaterial. Can you think of any useful past Roman experience or do you think that we should start proposing new models? Testaccio is the only example that comes to mind but that market is fairly new. The true challenge is to restore and revitalize market structures which date back to 1960. Opening up to private partnerships could be an option. Our experience taught us however, that the most functional model is one which relies upon the management of market workers, who are the ones that after all live the market everyday. For instance, we witnessed some confusion and disputes at the Testaccio market, where an operator who was entrusted a title by the administration encountered problems when the area was opened to private subjects. When the public and the private sectors both control the same space, the operators often get lost in the web of competences and bureaucratic procedures, in which roles and responsibilities are far from being clear. The 2012 Report of the Agency for control and quality of local public services in Rome outlined some general characteristics with regards to the habitual customers of Roman markets: women (71%), over 60 (51%), retired or housewife (60%). The Agency defines as “generational erosion” the failed renewal of customers expressed by the economic operators. What actions should be undertaken to widen the customer basis in a social environment that is witnessing strong challenges? Markets are peculiar because they play a social role, offering a more direct shopping experience for customers who favor face to face interactions to the modern supermarket automatization. People seek contact and buying fresh products is also dependent on a relationship of trust between the customer and the vendor. Moreover, in order to extend such a personal relationship to a wider portion of society, vendors need to change their routine. All the markets operators I have talked to, who made an effort to open their stands in the afternoon until 6pm twice a week, have already been noticing a renewal of customers. Indeed, the client who comes to the market at 5pm is obviously different from the one who comes in the morning. This change definitely increased the revenue for many vendors. But if the majority of stands fail to commit to such new habits, this phenomenon will remain limited to a few exceptions, thus failing to revolutionize the market. There needs to be cooperation among the market operators. They need to realize that a full market, even in the afternoon, attracts more people and is more appealing to different age groups and tourists. How can this cooperation develop? The grand majority of businesses inside of markets don’t rely on the food and farming centre of Rome. We used to have the old Mercati Generali, but now they are situated in the town of Guidonia outside of Rome. The Mercati Generali have continued to operate in the day-time and they have lost many clients because the neighborhood markets operators prefer to acquire their provisions at the warehouses open over night. If we could guarantee a different program for the supplying process, we would also promote the development of a new time schedule for markets, even if this might affect the quality and freshness of the products. I don’t think that the right recipe is exclusively dependent on the schedule or on allowing food service in the market. It is a combination of many things. The difficulties that many market activities are facing can be perceived when looking at the number of vacant stands. What aspects are to be targeted to incentivize the opening of vacant stands and thereby strengthening the entire market offer? Do you consider beneficial an eventual non-commercial destination for some of them, for instance cultural or other professional activities or craftsmanship? As always, the problem lies at the root cause, that is the administrative management. There are calls for bids dating back to 2013 which haven’t been settled yet. If the administration helped us designing a faster system of stalls’ appointment, the markets wouldn’t be empty anymore. This, coupled with some merges and reallocations should be the key to success. What would be the role of the Bolkestein directive in replacing the vacant stalls? Theoretically, the Bolkestein directive should help with the replacing of those stalls. It should provide with the liberalization and resettlement of markets. Truth is, nowadays the administration is not aware of the actual quantity of open and vacant stalls. In the past years the work of an inspectorate that only dealt with markets provided with a more or less consistent supervision. Today, due to a cut in spending, the inspectorate is not working anymore and the administration is unaware of the number of returned stalls that could be made available again. Economy, Governance / Shared administration, Rome , agriculture, commerce, economy, English, food, market, policy, public spaces.